Environmental Health officials in Grenada are not just impounding dogs that are classified as dangerous dogs, but are also putting measures in place to deal with the persons who are breeding the dogs for sale. “The Dangerous Dogs Legislation came into effect since 2002, and a clause was included to stop the breeding of dangerous dogs in Grenada. It therefore means that there should be no puppies or young dogs, and we are seeing a proliferation of young dangerous dogs among homeowners,” said Kenny James, Senior Environmental Health Officer who heads the Ministry of Health, Vector Control Division. “Those persons who are breeding dangerous dogs are violating the law, and we are not enforcing one clause in the law and not enforcing another clause. We intend to enforce the legislation, and this means also cracking down on the breeders of the these dogs,” said James, who explained that presently there is no entity nor individual with a license to breed dangerous dogs. “What we have are persons who are just breeding these dogs and they are selling them to whoever wants one to buy, but the law is clear about breeding dangerous dogs,” he said. A person convicted of illegally breeding dangerous dogs can be fined a maximum of EC$10,000 and/or serve jail time of 6 months. James explained that the intention of the legislation was to eliminate dangerous dogs on the island, in particular, Pit Bulls, because they are the most common. 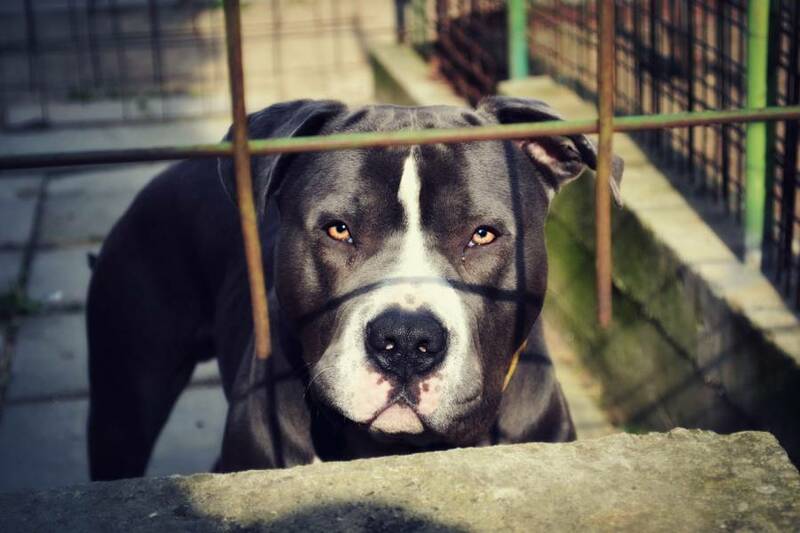 “There are other dangerous dogs listed in the law, the Pit Bulls are the most common in Grenada and they are very dangerous to humans, and it’s for that reason the regulation provides for certain prerequisites for owners to obtain a license,” he said. Some of the preconditions are: Owners of dangerous dogs must have a warning notice of “dangerous dog” affixed to the place of residence or property; they must ensure that the animals are kept under proper control, properties are securely fenced, and that they are in possession of a policy of insurance of no less than EC$250,000. Last week, Police and Vector Control workers from the Ministry of Health conducted a joint operation in the South of the island, cracking down on illegal owners of dangerous dogs, in an attempt to curb the illegal practice. A total of 8 Pit Bulls were seized and taken away by health authorities within a half-mile radius in the Grand Anse area, leaving law enforcement and health officials extremely concerned about the ongoing problem. James said that when the dogs are captured, they are placed in the Government pound, and the owners are given a time by which they can obtain the necessary pre-conditions. “Once the conditions are met we return the dog, and if the conditions are not met we put them down,” said James who explained that while at the pound, the dogs are fed and taken care of. In recent times, there has been an increase in calls from the public for immediate intervention by the police and the Ministry of Health to address the matter of the prevalence of dangerous dogs roaming the country. According to official government data, there were more than 100 reported dog-related injuries in 2016. Already for 2017 one man was hospitalised while others were treated after being attacked by dangerous dogs. Among the latest victims were Sen. Peter David and his grandson who were mauled by a pit bull while visiting a property.